So hip, original, and fun! 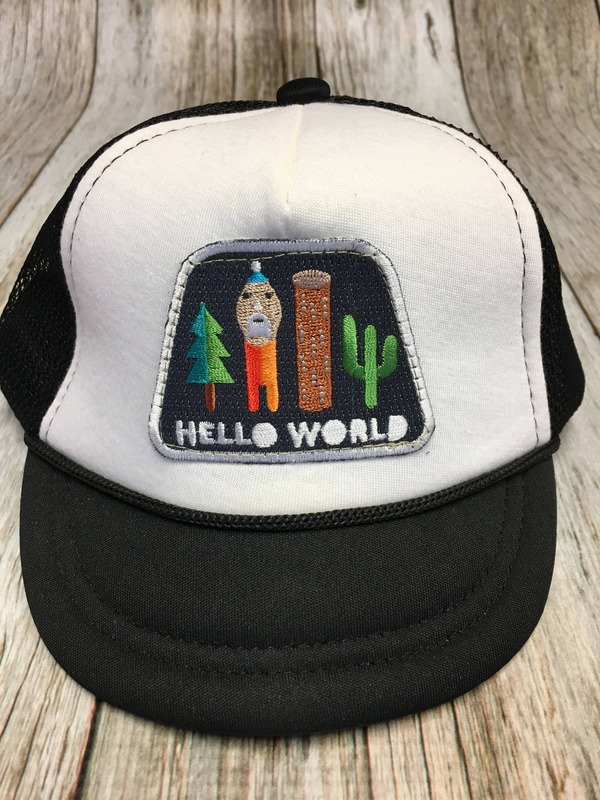 Unisex Infant black and white Trucker Hat with "Hello World" Patch. Fits ages 0-6 months. Hat circumference is approximately 16-18 inches. Exactly as pictures and described:) We love it! !